Incorporated in 1960, Pembroke Pines recently celebrated its 50th anniversary. Taking its name from the pine trees that aligned Pembroke Road back in the early days of the city, Pembroke Pines is now home to 150,064 citizens according to U.S. Census estimates -- giving Pembroke Pines second place in Broward County for population. In response to rapid growth in the 1990's, Pembroke Pines started a Charter School System that was the largest Charter School system in the country as of 2006 and enjoys national recognition as one of the top ten places to raise a family. The Bankruptcy Law Firm of Clare Casas is located just five to ten minutes north of Pembroke Pines. If you're feeling the stress of financial pressure from bill collectors, credit card companies or your mortgage servicer, you should take action today and schedule a free consultation to discuss your financial situation and what debt relief options are available to you. We meet with residents from Pembroke Pines regularly and inform them of their rights under consumer credit protection laws. 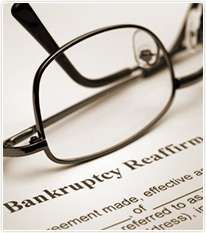 Our free initial consultation does more than talk about bankruptcy as bankruptcy is not always the best option. Your entire financial situation is discussed and you are made aware of what your creditors can and cannot do. If you've been sued by a credit card company and don't know what to do, call and set up an appointment for the free consultation. You probably don't know that your credit card lawsuit has to have certain documents attached to it or it can be dismissed as a matter of law. If you receive a notice of garnishment, don't ignore it. You might be able to claim an exemption from the garnishment. The Bankruptcy Law Firm of Clare Casas is here to answer your questions and help you decide on what your best option is. You don't have to live with stress and in fear of your bank accounts being frozen, wages garnished or property seized. Debt relief is available to you. We are just a phone call away from Pembroke Pines! Call today and get debt relief information that is relevant to your situation. Clare Casas and her staff are fully bi-lingual and can help you with your debt relief or bankruptcy questions in Spanish or English. Directions to the Bankruptcy Law Firm of Clare Casas from Pembroke Pines are as follows: Take University Drive north to Griffin Road. Turn right onto Griffin Road. Approximately 1/2 a mile further is S.W. 75th Way (right after the first light). Turn onto 75th Way and then take your first immediate left. The office is on your left hand side and parking is available in front of the building or to the left of the building.